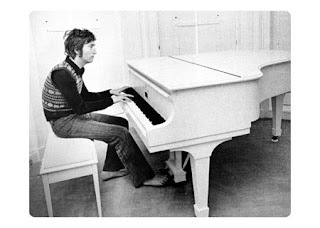 Weren't they just the cutest? They make me want to fall in love. I love her crazy fashion and the way she hardly ever spoke. 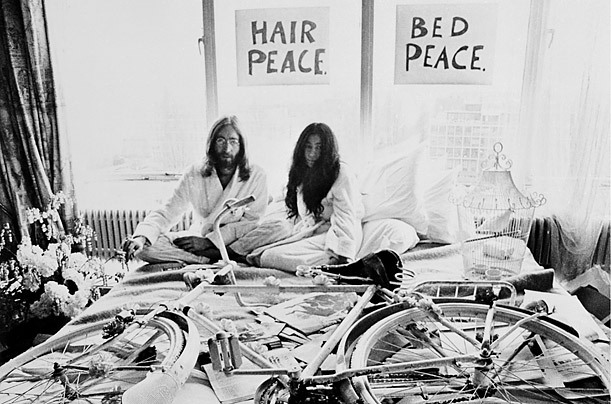 And I love the fact that he looked like an average lad from Norf England but turned out to be one of history's most avante-garde activists for peace. Shortly after they married in 1969, John officially changed his middle name 'Oko' as he was unable to change his surname, but thenceforth referred to himself as John Oko. 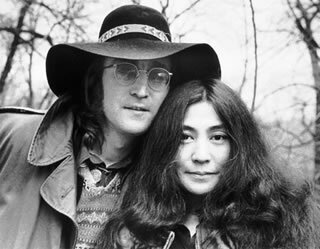 Although John left Yoko for a brief period, they reunited and were together when John was shot outside their apartment in December 1980.